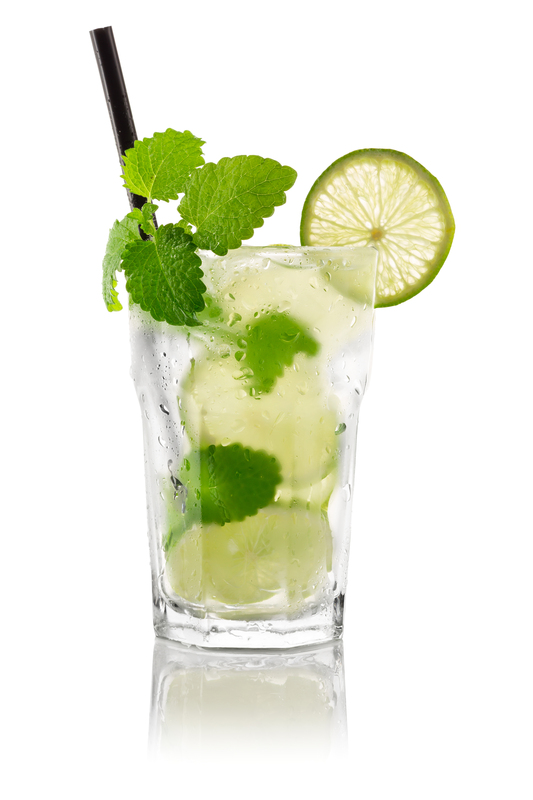 The Mojito, from Cuba, is traditional, minty & refreshing. Perfect for a spring or summer meal; pairs well with grilled food and outdoor settings. Add the powdered sugar, then gently smash the mint into the lime juice and sugar with a muddler. You can also use the back of a fork or spoon if one isn't available. Add ice (preferably crushed) then add the rum and stir. Top off with the club soda (you can also stir the club soda in as per your taste). Garnish with a mint sprig..